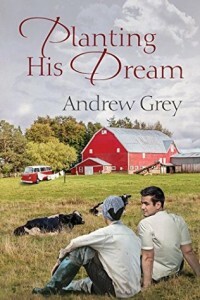 Foster dreams of getting away, but after his father s death, he has to take over the family dairy farm. It soon becomes clear his father hasn t been doing the best job of running it, so not only does Foster need to take over the day-to-day operations, he also needs to find new ways of bringing in revenue. I am certainly hoping that this book is the start of a new series for Andrew Grey because I loved it. This was definitely a slow burn type of story that had so much depth to it, it was unbelievable. I would compare this story to his Farm or Ranch series (which I also loved). I immediately fell in love with Foster and Javi. Their relationship builds up over the years and it was great to see the whole story. Sometimes authors seem to leave out what I would consider important pieces of information. That not true with Andrew Grey, he appears to have the insight into his characters that just make me keep coming back for more. The ending was perfect for a perfect story and I can’t wait to read the next story. This was a very well written book from an author I grown to love. This is a sweet new adult romance between two young men who have had to grow up far too soon. Foster takes responsibility for his family’s farm far too early and Javi must support his family and protect his mother and siblings from his abusive father. The start of this story focuses on the isolation and desperation felt by both Foster and Javi. As their friendship builds and becomes something more, there are moments of hope for both men. I loved the slow, awkward and unlikely romance between Foster and Javi. While this is a romance, it is also the story of Foster growing into his responsibility and turning around his farm’s financial prospects. Foster’s relationships with his mother and grandmother develop over the story as the three work together to save their home. There is more heart to this story than in some of Andrew Grey’s more recent writing and it felt quite carefully crafted. All the traditional Western cliches are still here but the well crafted characters make up for some overused tropes. I enjoyed this. A simple new adult Western, I think readers looking for an easy, satisfying cowboy romance will appreciate this story.